In a large, well-maintained garden, with plenty of shade, this charming, detached holiday villa is perfectly located with a private pool. In a large, well-maintained flowered garden, offering plenty of shade whenever required, this charming, detached holiday villa is perfectly located with its own private swimming pool. An excellent base to discover Provence and the French Riviera, and a perfect place for a get away from it all holiday. Head to Saint Tropez and Saint Raphaël and carry on, along one of the prettiest coastal roads in France, to Cannes. Heading south brings you to Toulon with its stunning harbour. Eastbound is the beautiful town of Aix-en-Provence. At only 5km discover the Abbaye-du-Thoronet, the oldest of the three Cistercian abbeys in France, and at 10km the small medieval town of Lorgues with a beautiful market square, graced with splendid plane trees planted in 1835. St. Maxime is a 40-minute drive. Fly via Toulon (approximately 30 minutes' drive), Nice and Marseille (approximately 1 hour's drive).Pets allowed against 40 euros fee. This villa was originally built in 1975 and refurbished in 2010. The agent has rated it as a three star property so it is a well-kept villa, equipped with standard furniture. It is also good value for money. 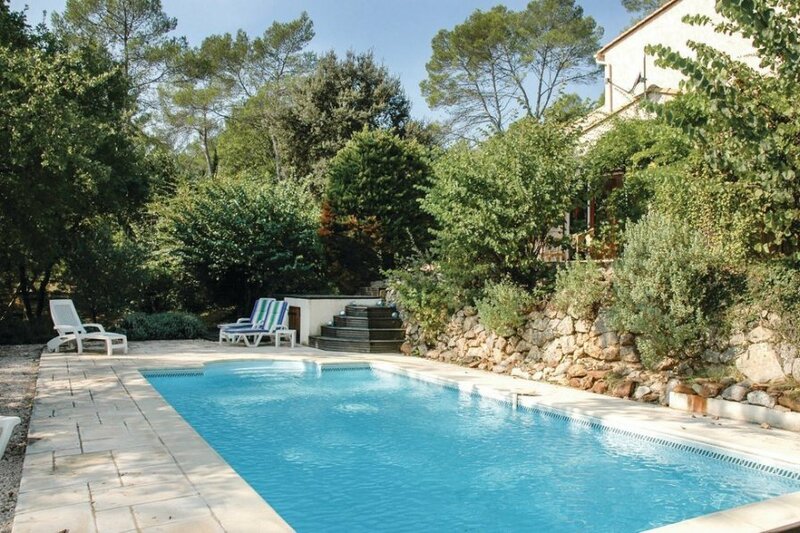 This villa has a private pool and is located in Le Thoronet, 23km from Draguignan. It is set in a good location: there is a restaurant 1.8km away.